A day after the San Diego mayoral election, Rep. Scott Peters (CA-52) Wednesday congratulated Kevin Faulconer on his victory and David Alvarez for leading a “dynamic, energetic” campaign. 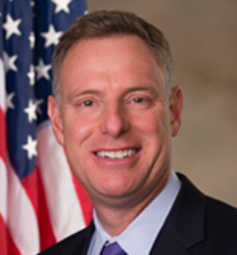 Rep. Scott Peters. Official photo. “Congratulations to Kevin on his victory. Kevin and I worked together on many important efforts on the City Council and I know that he is committed to making San Diego a better place,” Peters said in a statement. Peters represents the 52nd district, which includes Coronado, La Jolla, Poway and much of central San Diego County.